Here's a detail of some orange jelly candy in a market stall in Barcelona. You can also check these gominolas in green. Fall is already here so orange is that kind of color that gives us the mood of the season. 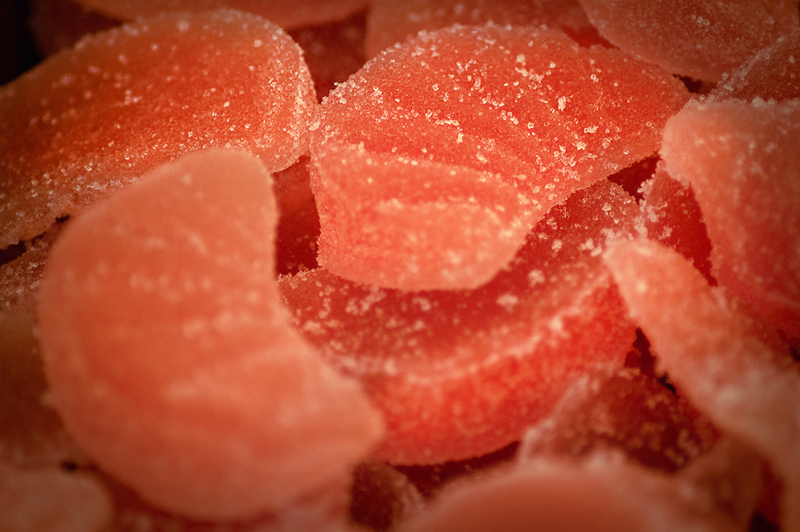 I wish autumn comes as sweet for you as these candies. Have a nice week! I can almost taste the orange sugar! What a color!!! I love the close-up pics.